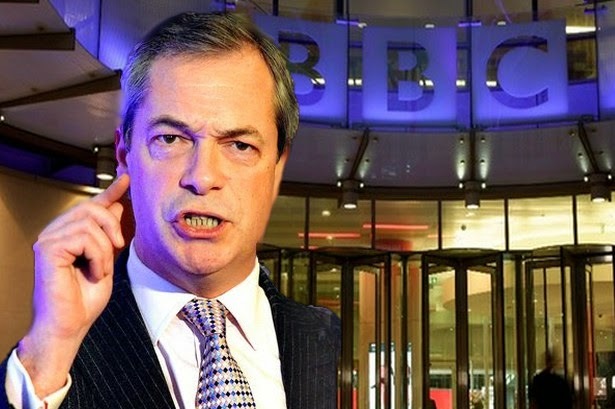 UKIP leader Nigel Farage has appeared on the BBC Radio 4 Today Programme this morning, taking up the mantle of constitutional reform on behalf of the 86 percent of UK residents who live in England. “The UK spends £1000 more on every Scot… than on every English person,” said Farage. “I’m going to write to all… Scottish MPs… and say… don’t take part in debates and votes on English issues,” he said. A UKIP statement today called for a constitutional convention to review the nature of the relationship between Scotland and England. Discussing the promises made by Prime Minister David Cameron to Scotland Mr. Farage said that he didn’t feel that the English public should be held to promises made by the three big party leaders. Scotland voted to save the Union, only just …but at what cost to the unity of the Kingdom? UKIP is a national party with elected representation in all four nations of the United Kingdom. Accordingly we are pleased that the Scottish referendum resulted in a “No” vote but unhappy that Messrs. Cameron, Miliband and Clegg saw fit, without an electoral mandate, to make a last minute vow to Scotland for increased powers and the continuation of the Barnett Formula. UKIP wants a new Constitutional Settlement for the UK which includes a fair deal for the 86% of the UK’s population who live in England. 2. Revision of the Barnett Formula. We want a full debate and vote in the House of Commons to rebalance this arbitrary and out-of-date concept. 3. No taxation without equal representation. The Electoral Commission must determine new boundaries for the constituencies of Scottish MPs so that the average number of constituents more closely resembles that in England. 4. A Constitutional Convention. Such a Convention needs to be rapidly established to put in place a plan for a Federal UK.